KHARTOUM – Sudan’s state prosecution has issued arrest warrants for 38 journalists and activists on charges of “incitement” and spreading “false news” that’s allegedly stirring or fuelling anger in the country with several demonstrations. 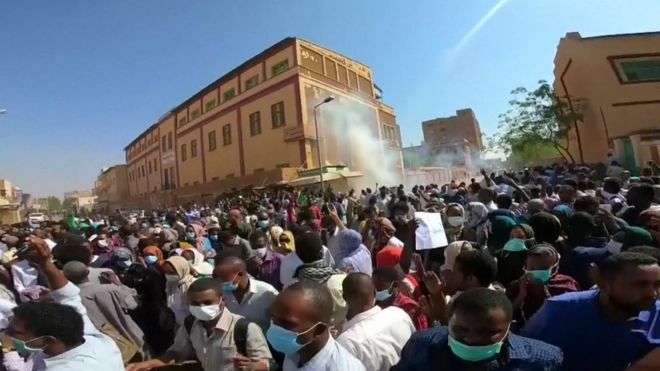 “Sudan’s security forces must stop their ongoing deadly onslaught on protesters and medical personnel,” Amnesty International said following the death of a doctor, a man, and a child from gunshot wounds inflicted during the 17 January protests in Khartoum’s Burri district. The organization also verified videos shared on social media and via WhatsApp showing security forces opening fire on protesters gathered at a football pitch near a mosque in Khartoum’s Burri district last week. At least one fell to the ground as a result of his injury and had to be carried away by other protesters. The injured were reportedly taken to Royal Care Hospital, where many protesters remained overnight.